German Import – With their much praised album Iscariot Blues (2012) and its acoustic successor The Myrrh Sessions (2013), the Swiss band achieved to consolidate their status and both albums catapulted the Swiss band to the top of the Gothic Wave scene. Their rise is documented in an impressive list of gigs at home and abroad. 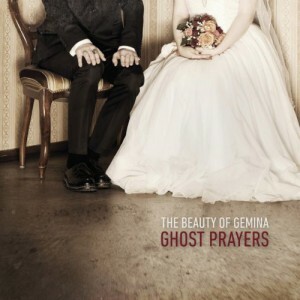 Ghost Prayers is the project’s eagerly awaited 6h album. It’s an ode to melancholia, full of deep passion and fervor, recited by a man whose voice takes the listener on a journey between steely industrial-beats and agile folk-rhythms. Already the (digital) single ‘Mariannah’ was a massive success and with Ghost Prayers The Beauty of Gemina lives the border crossing between dull gloom and wise optimism that left its mark on the whole album! Ghost Prayers is nothing less than a brilliant Gothic/Wave/Folk-album!